Shaken and poured by hand. Yes. Another bubble tea place. And the largest Taiwanese chain at that; brought in care of the French Baker group. We popped in the Pioneer Center branch in what seemed like it’s soft opening; with family members and actual owners manning the counter. 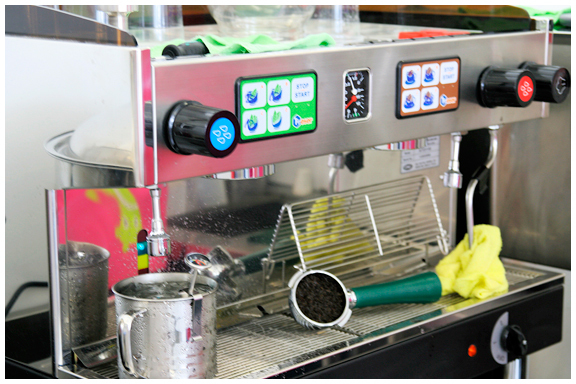 There were still some Taiwanese trainers from the mother company showing the local staff how to churn out perfect blends of not only milk teas but also health juices, fruit smoothies, special mixes and even coffee. The menu was extensive, which made ordering take some time. But for our first visit, we had the standard Pearl Milk Tea (comparing to mental benchmarks) and a variation called Roasted Milk Tea. Both amazing. Pearls perfectly cooked to a pleasant al dente, milk frothy and creamy and the tea base unmistakably brewed fresh. The Roasted Milk Tea had a more toasty rice powder taste to it which gave it more depth. But I still like my milk tea best plain. Tea lounge. With the training center for upcoming branches in the works at far end. 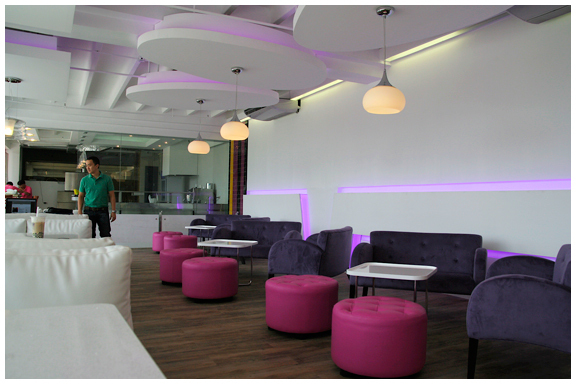 The Pioneer Center branch has, on its second floor, an impressive retro/space age inspired lounge that has a bright, youthful feel. Free internet’s also a plus so hopefully more Chatime tea lounges like this sprout up. And hopefully this second coming of bubble tea places ingrains itself to create an actual bubble tea culture this time ’round. Which is not hard to imagine once they sample the good things they have at Chatime. The innocuous looking TieGuanyin Tea Latte. Very good. You had me at milk tea. I'll go there straight after work. Thanks Paul! Chatime was delicious! Got to try the Chatime roasted milk tea. Cute interiors, too! i tried the tieguanyin latte and it was real guanyin tea goodness. i also made a mistake of assuming the pearl was included when you order. all additional toppings are ADD ONS and are ordered separately. that frothy thing on top was heavenly! i used my straw as a spoon to be able to lick it! haha :9 sarap! my friend tried the mango slush though and it tasted more like lychee than mango :/ i want to try the oolong and black tea next time! we also wanted to order something to eat with our teas but there weren't any food on the menu. magkakaroon kaya in the future? After many visits, the TieGuanyin latte (with pearls) remains as my favorite brew. Sometimes referred to as "iron buddha" tea because of its high caffeine content I made the mistake of having one past 9pm and was able to sleep around 3am. I think they're coming out with food to serve soon but hopefully does not detract from the teas. Thanks for this! 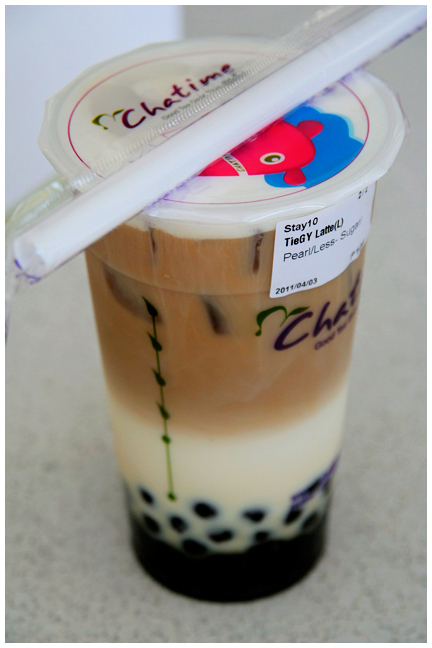 And as stated in your link, I noticed Chatime has already "delisted" several items on their menu pertaining this issue.